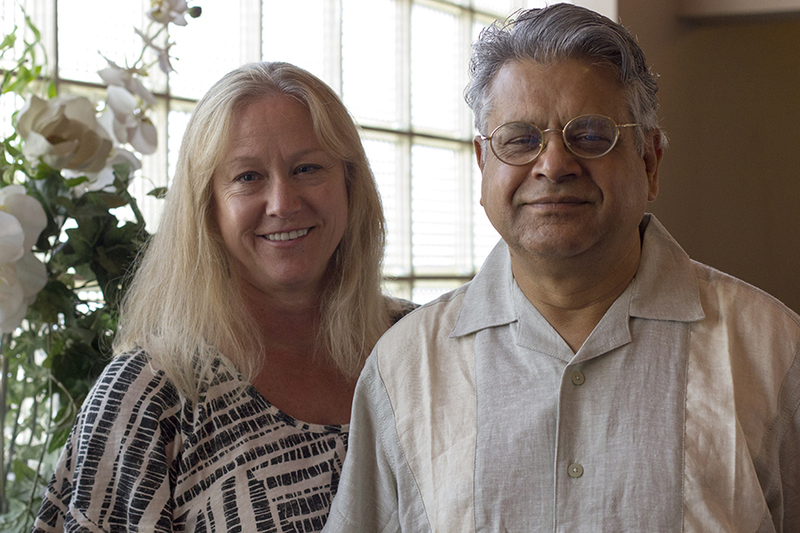 Our August 2013 volunteers of the month, Joan and Brijesh Sharma. Photo by Art Robinson. Occupations: Joan is a professor in the Department of Art and Design at Fresno State. Brijesh is a tour operator specializing in private and group tours to the Indian sub-continent. Joan: Traveling, working in the garden, and reading The New York Times. Brijesh: Philately – international postage stamps, Indian and world history, and foreign films. What type of films or movie genres would you like Filmworks to show more of? What are some other independent film events you have been to? Who got you to volunteer? What is your usual volunteer job? What do you like most about volunteering? Filmworks thanks all of our August 2013 volunteers: Lorna Bonyhadi, Karin Carlson, Nené Casares, Monica Marks-Rea, Karen Mele, Luis Ojeda, Sholmo Pleban, Andre Provencio, Gene Richards, Susan Rogers, Bill Rovin, Brijesh Sharma, Joan Sharma, Richard Stone, Tracy Stuntz, Lorraine Tomerlin, Andrew Veihmeyer (intern), Suzanne Watkins.